Established in Yakima, WA. 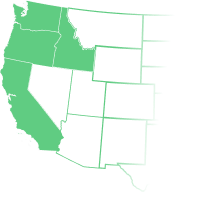 in 1881, Horizon Distribution is a full line hardware, farm, and industrial supply distributor serving ten Western States, Alberta and British Columbia. HDI stocks 35,000 products and prides themselves on being partners with their customers. They are dedicated to helping their customers grow their sales and profits. Some of the categories they specialize in distributing are: hand tools, power tools, building hardware, cleaning/maintenance, cutting tools/abrasives, electrical/lighting, farm & pet supplies, lawn & garden supplies, lubricants, paint & supplies, plumbing/heating/cooling, safety supplies, hardware and automotive.